Shaving: nobody likes to do it, but somehow it feels mandatory for both men and women. After all, who wants to bare hairy legs in a miniskirt, or meet with an important client while sporting a 5-o’clock shadow? I’m here to tell you that with today’s superior hair removal options, you have no good reason to shave. In fact, you have some very compelling reasons not to. Scary but true: Your razor may house the bacteria Staphylococcus aureus, the same bug that causes nasty staph infections. These bacteria live in your nasal passages, where they typically do no harm. Introduced to other areas of your face and body, however, these microorganisms aren’t quite so harmless. Staphylococcus is responsible for the dreaded “barber’s rash,” which results in small red bumps in the shaved area. These can be itchy, irritating and even erupt into blisters. If you don’t wash your razor thoroughly after each use or change your blades weekly, you’ll be more susceptible to bacterial woes. But changing razors every week gets pricey, and many people simply can’t afford to do it. If you’re like the average woman, you’ll spend about 1,728 hours of your life shaving your legs, according to a study by the beauty brand Escentual. That works out to a whopping 72 days that you could have spent with your friends or family — or on the couch doing nothing at all. The truth is that shaving is an ordeal. It starts at the drug store where you have to browse the aisles for razor blades and shave cream, and continues in the shower where you actually perform the task. Because the hair re-grows so quickly, you’ll probably have to shave again within a day or two. And along with their legs, many women shave their arms, bikini line and other areas, resulting in an even bigger waste of time. Half a century ago, shaving was probably your best bet if you wanted smooth, hairless skin. But those days are long gone, and now you can remove unwanted hair permanently at your med spa or dermatologist’s office. 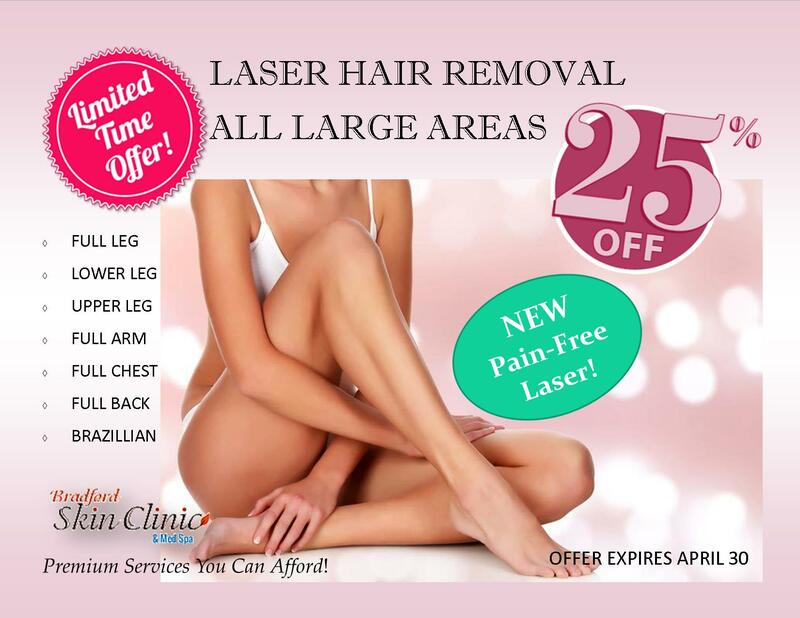 Laser hair removal is quickly becoming the preferred method for shedding fuzz. It’s safe for most body areas — including the face — and results can last for the rest of your life with occasional touchups. During treatment, your aesthetician will use a special laser that targets the hair follicle while leaving your skin unharmed. Once the follicle is destroyed, hair will not grow back in that spot again. After four to eight sessions, the entire treated area will be virtually hair-free for years, and only minimal maintenance is required for life-long results. Laser hair removal is most promising for people with lighter skin tones and darker hair, as the laser targets pigment. However, other professional options, such as electrolysis, work well for people of all skin tones. 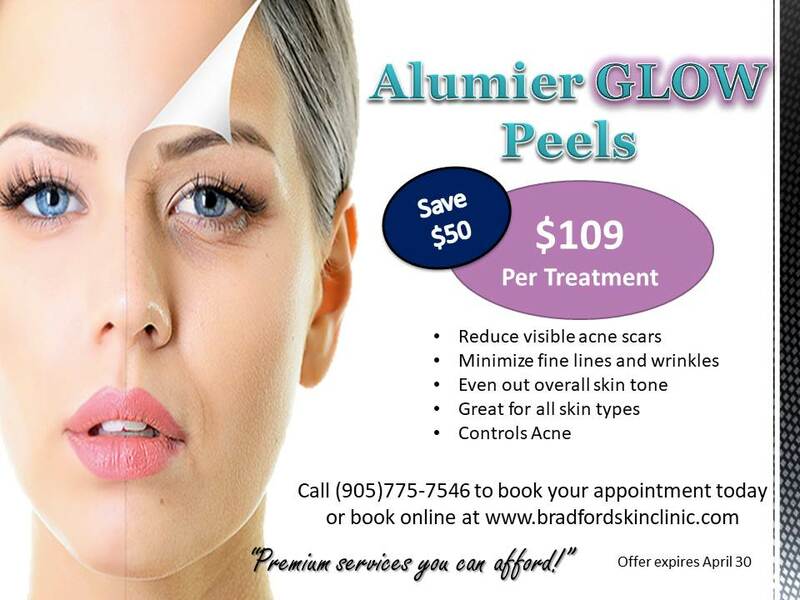 If you’re tired of wasting your time with razors and are ready for smooth skin that lasts, contact us at Bradford Skin Clinic to discuss treatment options. We’ll analyze your skin type and determine whether laser treatments or other hair-removal options are best for you. Soon, you’ll be able to quit shaving for good. 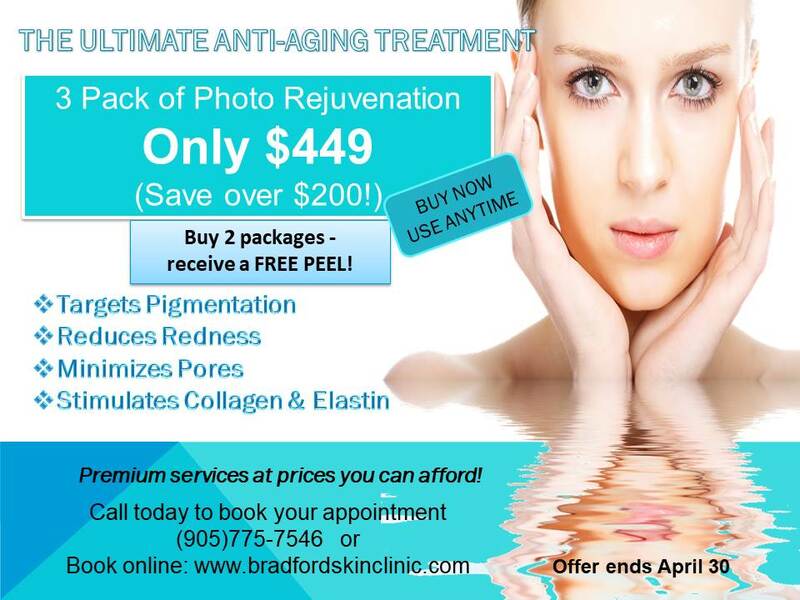 Call us at 905-775-SKIN (7546) to schedule a meeting today.